You only have until April 18. 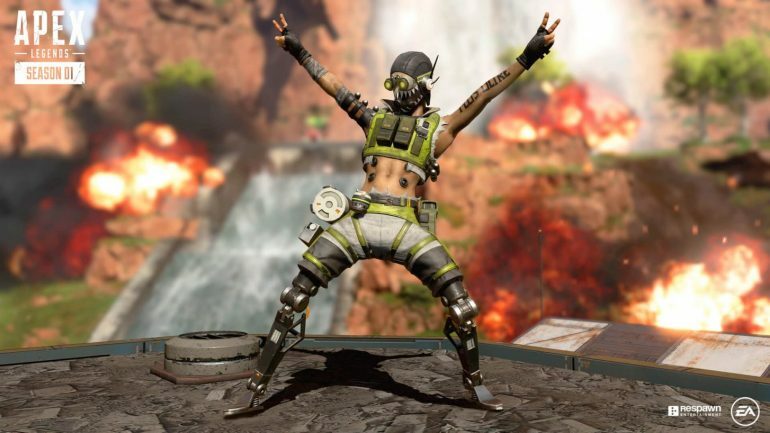 Apex Legends players will have a short special event to get free Battle Pass Levels starting today, Respawn has revealed. With the release of the game’s 1.1.1 update today, players will get a free Battle Pass Level the first time they place fifth or higher in a match with their squad every day. Players can only get one free level a day until April 18, which is two days from now, which means the most they can get is three bonus Battle Pass Levels within that short period. This event is welcomed by all Apex players. It can take them from one to three hours to get a single Battle Pass level, depending on their performance in the matches they play within that period. Placing fifth in a single match should require 15 minutes at most, which is a significant improvement. Wild Frontier, Apex’s first Battle Pass season, is far from reaching its end on June 18. Even so, a small boost like this one will keep players motivated to play the game a bit more despite its recent downfall. Respawn’ failure to update players regarding the state of the game’s issues is resulting in players losing interest in watching it on Twitch, which made the game lose a large percentage of its average viewership on the platform over the last two months. Such a short event is unlikely to boost Apex to the ranks of the most watched and played games of the month, but it might at least give fans some reason to return to the game for a few days or stick around for longer.